Stay & Play in Santa Fe, New Mexico! 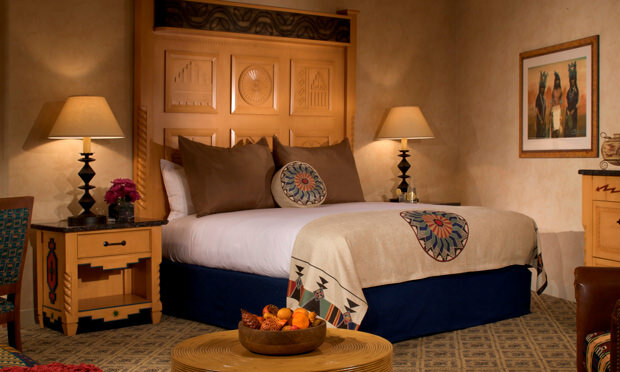 Enjoy a package rate on your stay at Hilton Santa Fe Buffalo Thunder which includes a deluxe sleeping room and a round of golf per day at Towa Golf Club! Hilton Santa Fe Buffalo Thunder offers one of Santa Fe’s most unique resort experiences located on the sovereign Native American land of the Pojoaque. Featuring traditional Pueblo architecture, the AAA Four Diamond resort is home to a world-renowned Native American art collection valued at over $2 million maintained by an in-house curator. Rich with amenities for all interests, the resort offers 27 holes of golf at Towa Golf Club, Pojoaque-influenced spa services at the Wo’ P’in destination spa, lavish indoor/outdoor pool complexes, world-class fine dining at Red Sage and opportunities to enjoy Las Vegas-style gaming and sought-after entertainment and events at the adjacent upscale casino. With 395 guest rooms and 66,000 square feet of meeting and convention space, the resort is the largest of its kind in Northern New Mexico. 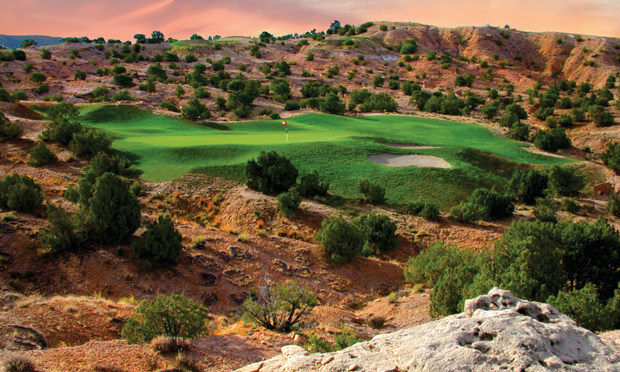 Located in the dramatic scenery of northern New Mexico’s Pojoaque Valley just 12 miles north of the Santa Fe plaza, Towa’s three independent nine-hole courses challenge with dramatic elevation changes, seasonal weather conditions, and scenery of such extraordinary beauty it threatens to distract the most focused golfer. 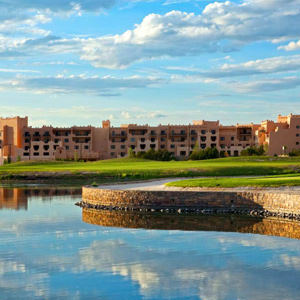 Part of the Hilton Santa Fe Buffalo Thunder Resort, Towa was designed jointly by twenty-time PGA Tour winner Hale Irwin and noted golf course designer and landscape architect William Phillips. The Boulder Nine: Opened in 2001, this Phillips design measures 3,640 yards from the back tees. So named because of the amazing rock formations that frame it, also features the only island green in New Mexico. The Piñon Nine: Also opened in 2001, this is an Irwin-designed course measuring 3,615 yards. The first hole is a breath taking, 631 yard, par 5. 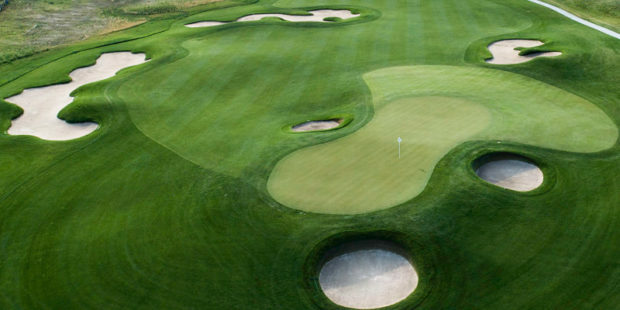 The Valley Nine: The most recently-completed course, Valley is an Irwin design opened in 2009. 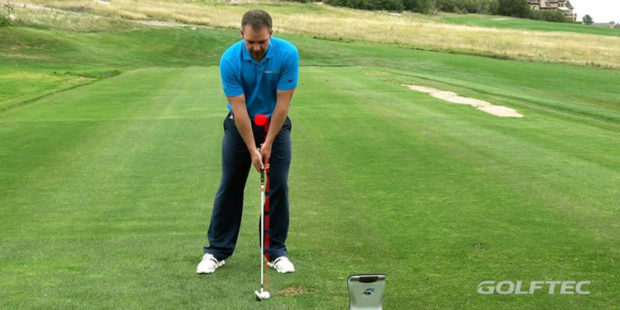 It measures 3,575 yards. Every hole has an unobstructed view of the Jemez Mountains. When it’s finally time to come inside, you can still keep gazing at the spectacular scenery. Grab a drink or a snack at the Towa Bar & Grill, which offers panoramic views of the Pojoaque Valley, bordered by the majestic Sangre de Cristo and Jemez Mountain ranges. The Clubhouse features a dining room and bar as well as a spacious outdoor patio area and is available to rent for meetings or private parties. 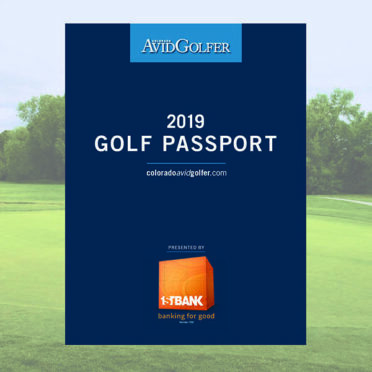 The golf shop offers guests golf apparel and equipment as well as brand new Nike club rentals and free club fittings by our PGA professionals. 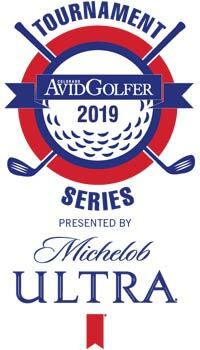 Public Course – 27 Holes Open year round, weather permitting. Tee times are recommended and can be reserved 4 months in advance. Appropriate golf attire is required at all times. 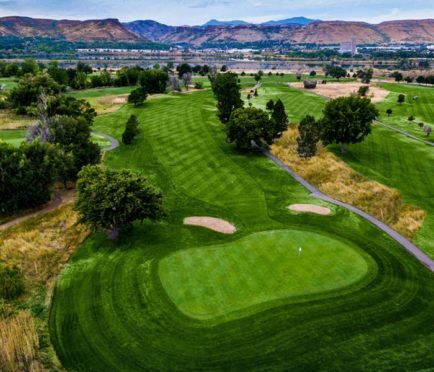 Facility/Services: On-site Resort, Casino, Two Putting and Chipping Greens, Driving Range, Full-Service Golf Shop, PGA Professionals on-site, Pro Shop, Club Rental and Restaurant. 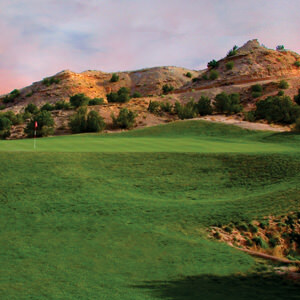 Fees: Call the Golf Shop at (505) 455-9000 or visit www.hiltonbuffalothunder.com/golf for additional information. 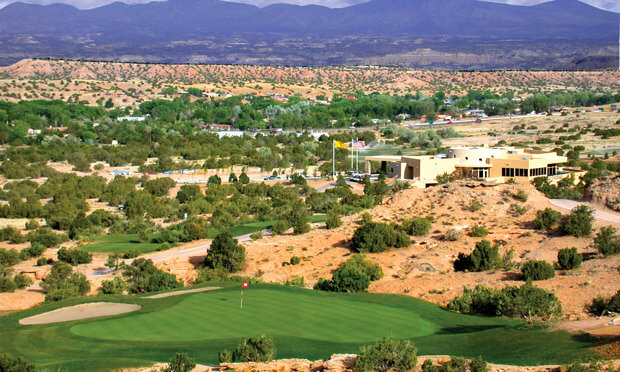 Getting Here: Towa Golf Club is located 12 miles north of Santa Fe on Highway 84/285. From Santa Fe: Go North of Santa Fe on Highway 84/285 and exit at Buffalo Thunder Rd (exit 177). From Albuquerque: Go North on I-25, exit 276B (route 599, Santa Fe Relief Route), and continue north to Highway84/285. Exit north to Española/Los Alamos. Continue north for 11 miles and exit at Buffalo Thunder Rd. (exit 177). Stay & Play in Santa Fe, New Mexico! Enjoy a package rate on your stay at Hilton Santa Fe Buffalo Thunder which includes a deluxe sleeping room and a round of golf per day at Towa Golf Club. Call 505-455-5555 to book your stay today!